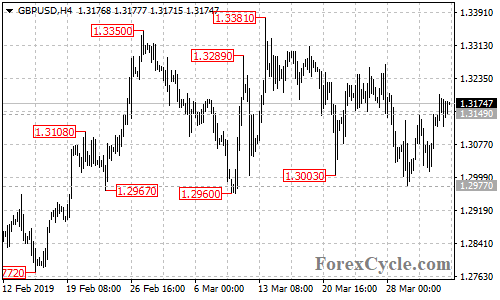 GBPUSD broke above 1.3149 resistance, suggesting that lengthier sideways movement in a trading range between 1.2960 and 1.3381 is underway. Another rise towards 1.3300 could be expected in the coming days. Near term support is at 1.3100, below this level could trigger another fall to test 1.2960 support.